I attended a conference last weekend that changed my life and gave me a new lens through which to see the world. As John was sharing the message that God gave to him based on Colossians 1:24-29, some of the things I learned last week were brought to the forefront of my mind. That you and I may be filled with the fullness of God…just like Jesus, and out of that fullness we have also received the commission from God to present the word of God in its fullness (v 25) to those who don’t yet know the mystery. I think any Christian who has been in church for a while knows that we are not here for ourselves. We’ve all heard that the greatest commandment is to “Love the Lord your God with all your heart and with all your soul and with all your mind, and all your strength…and the second is like it: Love your neighbor as yourself.” (Mt 22: 37;39). And we know that the great commission, which is our call, our commission–all of us-– is to “Go and make disciples of all nations, baptizing them in the name of the Father and of the Son and of the Holy Spirit, and teaching them to obey everything I have commanded you…” (Mt 28: 19-20), but for some reason, many of us never bridge the gap from talking about it to actually doing it. I learned the phrase “virtue signaling” at the conference last week. According to the Cambridge Dictionary virtue signaling means “an attempt to show other people that you are a good person by expressing opinions that will be acceptable to them, especially on social media.” The Urban Dictionary takes the definition one step further and says “Saying you love or hate something to show off what a virtuous person you are, instead of actually trying to fix the problem.” I’m afraid that many of us who follow Christ are virtue signalers. We love Jesus, we hate that there are lost people in the world, injustice bothers us, we talk about it amongst ourselves, we post about it, but very few of us step into engaging the commission of God in a real way. Why? I believe it goes to another thing that I learned at the conference. Many cultures in the world live with an emphasis on the community rather than the individual. I experienced the beauty of that kind of life when I lived in Brazil. However, in our majority culture in the United States, we live very individualistically, so the body of Christ becomes a group of collective “I’s” rather than a “we”. And our majority culture has a strong tendency to stay silent about many things. This leads us to hoping that someone else will do the scary stuff, the hard stuff, the stuff that might cost something. I think we know this, I even think it causes us to squirm a little with some guilt, yet we don’t move. So what’s the answer? So, like Paul, it’s pushing through the scary, through the desire to stay silent, through the desire to self-protect, through the false narrative that maybe it’s not part of my kingdom role, and moving into “proclaiming Him, admonishing and teaching everyone with all wisdom, so that we may present everyone perfect in Christ…with all HIS energy which so powerfully works in (us).” (Col 1: 28:29) And all that you have to know in order to do this, is your own story with Jesus. If you know Him, you are equipped and ready. So take heart–we can join in purposefully pushing back the darkness to bring in the Kingdom of Light because the fullness of the Trinity live in us. The Spirit of God has power, and that power allows normal, everyday people to operate with the supernatural power of Jesus. The Kingdom of God advances on the walk and talk of those who know Christ, one person at a time. Are we willing to take what we’ve received from God, crucify ourselves in order that the Spirit may truly come alive in us, and actively participate in the work of His kingdom wherever He has placed us in life? As we read Paul’s accounts through Colossians, however, we see a man who not only moves, but does so with abandon, with wholehearted devotion-and in the face of extreme persecution most of us will never come close to comprehending. What did Paul know that we struggle to understand? I think maybe it’s less about what he knew, and more about Who he knew. He knew the Jesus of the Bible. We do… to a point. We do to the extent that we can understand. John spoke about the ways we see Scripture through the lens of our traditions and experiences rather than seeing our experiences through the lens of Scripture. He reminded us that it must be the the living Word, the power of the Holy Spirit within us that shapes our understanding. It is only through the power of the Trinity residing within us that we are moved, shaped, changed and sent out. Paul knew the real Jesus. Not the Jesus many of us have been presented with in our various backgrounds and traditions. He knew the Jesus that “…did not come to be served, but to serve, and to give his life as a ransom for many” (Matthew 20:28). He knew the suffering Savior. Paul understood that his role was to be a servant to the Church–not a savior of the church. The church already had a Savior–the same Savior that rewrote the story of a man named Saul. The same Savior that changed his name from Saul, which means “asked for, prayed for”, to Paul: “humble or small one”. This was so much more than a change of name for him. He went from being important, from lording his identity as a prominent, privileged Pharisee to seeing himself in light of his new name-small and humble under the lordship of Jesus, for whom he was willing to give his whole life. He had met the suffering Savior and he got it. He understood what he had been entrusted with. He knew the power of being raised to new life in Jesus. And he knew he had been called to make known to everyone-Jew & Gentile, rich & poor, slave & free-the truth of the Gospel that he had-prior to encountering the Jesus who saved him-refuted and persecuted with murderous passion! Paul suffered from no illusions that serving Jesus wouldn’t cost him. And more than that, he rejoiced in his sufferings–for the sake of the church! For the sake of people who needed to know this Jesus who had come to redeem humanity unto Himself. John said, “We suffer as an extension of what Christ did”. We must choose our response to our suffering Savior. Do we choose to enter into the world’s suffering-knowing it will cost us-as an extension of what Jesus suffered for us? Or do we talk the talk without following through? If we see Jesus only through the lens of tradition, only through the lens of a privileged existence that longs for safety, security, prosperity and pleasure–we cannot enter into the world’s suffering with authenticity. But if we look to Scripture and let the Holy Spirit reveal to our hearts the truth about the Jesus we serve, He will show us who we are in light of all that He is. He will lead us into our true identities. For so long, we (the western Church) have pushed back against the idea of suffering. We have created prosperity teachings that are contrary to the teachings of Jesus. And we have lived lives marked by fear of suffering. But when we remove our filters and look at the life of Jesus and His first followers, we see that the Gospel is truly about the first becoming last, for the sake of the lasts having the chance to be first. It’s an upside-down Kingdom. Paul knew this. He encountered Jesus and he was changed. His story was rewritten and he was given a new life and a fresh start. The weight of what he had been entrusted with propelled him into a life of willing servitude on behalf of the world. He led with his story of what Jesus had done for him. And he understood that it wasn’t in his own strength that he carried this weight. It was the very power of God working within him. John said, “Paul got the suffering, but he also got the strengthening”. Paul was willing to move into the suffering life his Savior had modeled. And so, he got the strengthening that enabled him to walk the walk unto completion. Sometimes we ask for the strengthening without being willing to enter into the suffering. But we don’t get to move into the strengthening without first embracing the suffering. We don’t need to be strengthened to keep up the status quo. To keep talking the talk without walking the walk. We need the strengthening to endure the suffering. To keep showing up. To keep entering into the pain of the world, as Paul’s life so beautifully modeled. “…all that you have to know in order to do this, is your own story with Jesus. If you know Him, you are equipped and ready”. Do you know Him? This suffering Savior who came to give his life as a servant? If you don’t, I pray that He will reveal Himself to your heart so that you, like Paul, can have a new story, a fresh start. If you do, are you willing to embrace the role of servant and enter into the suffering of the world as an extension of what Jesus did for you? I pray that we can all give a resounding “yes” to that question and move out into a world that is desperately waiting for our talk to materialize into a walk that will walk with them. We would love to hear your thoughts-please share with us any questions and comments you have. Colossians Week 2: Do you know what you’re doing? What are your priorities? Your passions? Do you know what your purpose is? Be assured that from the first day we heard of you, we haven’t stopped praying for you, asking God to give you wise minds and spirits attuned to his will, and so acquire a thorough understanding of the ways in which God works. We pray that you’ll live well for the Master, making him proud of you as you work hard in his orchard. As you learn more and more how God works, you will learn how to do your work. We pray that you’ll have the strength to stick it out over the long haul—not the grim strength of gritting your teeth but the glory-strength God gives. It is strength that endures the unendurable and spills over into joy, thanking the Father who makes us strong enough to take part in everything bright and beautiful that he has for us. God rescued us from dead-end alleys and dark dungeons. He’s set us up in the kingdom of the Son he loves so much, the Son who got us out of the pit we were in, got rid of the sins we were doomed to keep repeating. When John spoke these words, he was highlighting a truth that we don’t often acknowledge, a thought that is counter-cultural in a world that tells us to list our priorities in an attempt to better organize our lives. His point was simply that it doesn’t matter what occupies space #2, 3, 4, 5, etc… The only thing that matters is what sits in the #1 slot. Whatever is first in our lives is what drives our passion, what dictates our purpose. Everything else is wrapped up in priority #1. What sits at #1 on your list? Ultimately, it comes down to one of two answers–it’s God or it’s ourselves. Friends, this is a huge deal. If God is first, if He is our priority, then our passion is wrapped up in Him. And if He is our priority and passion, we will know our purpose. If He’s first in our lives, we will be willing to do whatever He asks us to do–and we have the potential to change the world. The whole world can change from one undivided heart that is fully sold out to Jesus. The first letter was written by a woman on her death bed. She wrote it to be read at her memorial service. The second was written by the woman’s nine year old granddaughter the day before the woman went to be with the Lord. My mom wrote the first one. My daughter wrote the second. Every day I see my mom’s influence in my girl. I watch in awe as the honest wrestling and the willing surrender plays out in the life of my now twelve year old. My mom didn’t know how far reaching her purpose would be. It outlived her. But make no mistake, one undivided heart–one life fully surrendered, a life whose one priority is God & His Kingdom–will impact other lives. One life has the potential to change the world. Do you believe that? Are you willing to live a life like that? I love that Laura included the excerpt from her precious mother’s letter, and the response of her daughter. One life lived “all in” for Christ has a ripple effect that can’t be measured. Laura’s mom is a perfect example of that. John said, “We think gospel expansion happens because of super stars like Paul”, or we think it’s the pastor’s job, and then he reminded us of all the regular people that Paul mentions in his letters–women, men, slaves, soldiers, fellow prisoners, free people–people like you, people like me–we are God’s plan for advancing the Kingdom of Heaven on earth. And then he shared this sobering thought, “The Kingdom of God either grows or doesn’t based on our passions and our priorities. What we do as individuals and as a church body either advances the Kingdom or hinders the Kingdom.” Even as I type those words, I feel the increase in the beat of my heart. I so desperately want to see every Christ follower fully sold out to God’s mission–it is the only way to experience the abundant life that Jesus promises. It’s the only way to experience intimacy with God. It’s the only way to experience true freedom. And it’s the only way to change the world. How does it happen? We can’t be motivated by the “should”. That will never be sustainable. It has to be motivated by love and by gratitude. John pointed out that we talk about what we are grateful for. If a stranger buys our coffee, we tell people. If someone lets us get in front of them in line, we tell people. If we see something wonderful, we tell people. We talk about the gifts we receive, the kindnesses extended to us, the beauty all around that captures our attention–the things that we are grateful for. Verses 12-14 of Colossians 1 say “giving thanks to the Father, who has qualified you to share in the inheritance of the saints in the kingdom of light. For He has rescued us from the dominion of darkness and brought us into the kingdom of the Son he loves, in whom we have redemption, the forgiveness of sins. We all used to live in the dominion of darkness. Pause and think about that for a second. The dominion of darkness was our home, and we had no way to escape it on our own. We were prisoners. But God the Father, who loves us so much, qualified us (made us sufficient, rendered us fit) to become citizens of the kingdom of light, the kingdom of His Son, Jesus. And how did God qualify us? He took all of our darkness, all of our personal failures, every moment of our lives that we have fallen short of living for God’s glory and put it all on Jesus–2 Corinthians 5:21 tells us that Jesus didn’t just carry our sin–He became our sin. I can’t even fathom the weight of that. Then our sin offering, Jesus, was sacrificed in brutal fashion, and when He died He cried out “tetelestai” (it is finished), which literally means PAID IN FULL. Pause and think about that for a second. And what we received out of that sacrifice is redemption (we can be restored to the full purpose for which we were created) and forgiveness for all of it–past, present, future. We can live in glorious freedom. And because Jesus didn’t stay dead, but rose again and then sent us the Holy Spirit, we can live powerful, godly, meaningful, abundant, kingdom advancing lives. Who else loves us like that? Have we become so familiar with the story, with our own salvation, that we’ve lost our awe, lost our gratitude, and lost the desire to help rescue others from the dominion of darkness? Pause and think about that for a second. John said “Paul abandoned everything, gave up everything, and God did everything else.” Jesus tells us in Matthew 6:33 to “Seek FIRST the Kingdom of God” and assures us that God will take care of the rest. We sang in our service “May the glory of Your name be the passion of the church”. (All To Us, Tomlin) I am the church, you are the church. This is our call, our purpose, our life, why we are here. Is it time to recalibrate? To reorder priorities? To surrender more fully? To go in more deeply? This Psalm is incredibly familiar to me, as I’m sure it is to many of you. But one of the lines struck me differently this weekend. Psalm 100 gives us some directives. We are told to “Shout to the Lord”, “Worship the Lord with gladness”, “Know that the Lord is God”, “Give thanks to him” and “Praise his name”. Set within these directives, though, is a beautiful invitation. At first glance, these words appear to be additional directives. But if we look deeper, if we remember that God is King and that this Psalm was written before Jesus, before the temple veil was torn, we will remember that one couldn’t simply “come before” the King in his court. To appear before the King without fear of consequence, one had to be invited. It is beautiful that God desires our worship. That the Creator of the universe and of each human heart would invite us to come before him, would allow us-people of unclean lips-to magnify his holiness, out of the depths of his goodness and love for us… it fills my heart with wonder. For true worship to exist, the kind of “spirit & truth” worship Jesus describes in John 4:23, there must be two invitations. We can go to church, stand before God and go through the motions. In doing so, we accept his invitation… to a point. John used a word today when describing how we are to worship that causes many of us to cringe a bit. He used the word “vulnerable”. He said that in surrendering our lives in worship, we have to “let go, be vulnerable, be willing to look foolish”. That doesn’t sit well with us. No one wants to look foolish. And we certainly don’t like feeling vulnerable. The word vulnerable is defined by Merriam-Webster as: capable of being physically or emotionally wounded; open to attack or damage. No wonder we fight vulnerability… It makes us feel exposed, weak and unstable. It can make us feel insecure and afraid–and for good reason. It is natural to protect the most vulnerable places, those places most in danger of being wounded. That being said, I believe that vulnerability is the invitation we extend to God in response to the invitation to draw near to him in worship. If we don’t invite God into our core, we will never worship him out of our core. If we try to hide from him the depths of our brokenness, we’ll never experience the healing balm of unabashed worship. If we hold our hearts at bay, refuse to let down our guard, we will never experience intimacy with the Lover of our souls. If we come to God offering anything less than our authentic selves–messy, scarred and imperfect–we are not reciprocating his invitation. He invites us in-invites us to know him, to have a relationship with him, to seek him in every moment. He desires that we make ourselves fully available to Him as he has made himself fully available to us. Being fully available to God means that we withhold nothing from him. It means that we meet his holy invitation to encounter and magnify the eternal greatness of all that He is with an invitation for him to come in and take over all that we are-as well as all that we aren’t. Worship is a choice. And true worship cannot happen if we’re unwilling to extend an invitation for God to come into our most vulnerable places and meet with us in our brokenness. True worship doesn’t happen when we get cleaned up or follow a formula. It happens when we offer ourselves-our whole selves-in complete surrender to the only One worthy to be praised. When we invite him into our depths, we’ll find that out of our darkness, a song will rise-a song of praise to the God of our lives. John said in his sermon that healthy thoughts around worship and God lead to a healthy outward expression of worship. Psalm 95 illustrates this beautifully. Come, let us sing for joy to the Lord; let us shout aloud to the Rock of our salvation. —the invitation to express inward joy with outward singing and the acknowledgement of God’s strength and our salvation with outward shouting. Let us come before him with thanksgiving and extol him with music and song. –the invitation to enter His presence with a heart filled with gratitude (inward) which spills out in an outward expression of enthusiastic praise expressed through music and song. For the Lord is the great God, the great King above all gods. This is the “why”. Only He is worthy. Come, let us bow down in worship, let us kneel before the Lord our Maker; The invitation to respond to His greatness by bowing down, kneeling in worship before Him. For he is our God and we are the people of his pasture, the flock under his care. This is the “why”. The Psalmist has taken us from God’s huge greatness to His intimacy with us as our Maker, our caretaker. Today, if only you would hear his voice, do not harden your hearts… And then this caution. Do not harden your hearts. We have a choice. However, David, in writing Psalm 95 tells us to sing, to shout, to make music, to praise enthusiastically (extol), to bow down, to kneel. In other scriptures we are told to clap, to raise our hands, to dance, to speak out loud– does your daily worship look anything like that? If not, would you be willing to let go? Would you be willing to become vulnerable? Would you be willing to let your inward thoughts about God pour out and express themselves through your physical body? I did not grow up in a church tradition that included outward expressions of worship; but as I began to grow and experience more and more freedom in Christ, my outward expressions became a natural outflow of my gratitude, my awe and my love for God. The every day miracle of being able to enter God’s presence without fear still inspires awe. The beauty that is all around still inspires awe and delight. For example, this morning as I was driving to work, the full moon was popping off of the early morning deep blue sky in front of me, and in the rear view mirror the sky was becoming bright red as the sun was rising behind me. I laughed out loud, and audibly said “Wow! Thank you, Jesus! Beautiful!” It just came out! He amazes me. What are your thoughts about Him? And do they flow out through your body? Do you struggle with hard heartedness in your worship? If so, ask God fulfill His promise of Ezekiel 36:26 in you– And I will give you a new heart, and I will put a new spirit in you. I will take out your stony, stubborn heart and give you a tender, responsive heart. I promise you, if you will give full bodily expression to your worship– your daily worship and your corporate worship–your spiritual life will change. I don’t understand the mystery of it, but I know that it is true. Will you enter in? I am so excited about this new series John began this weekend! The series is titled “The Dailies”. We began this weekend with Dependency and we will continue looking at daily habits that will give us the momentum we need to create traction in our lives.We are being invited to discover daily disciplines that lead to our becoming true disciples of Jesus. Dependency, unlike demand, produces gratitude. Gratitude, by nature, is full of humility and void of demands. Grateful dependency acknowledges that we have need and that we cannot provide for our own need. It recognizes the Giver and thanks Him for the gifts. It lives in the now, in the present moment, and it lives fully alive and aware of this day. This short list applies to me and you, too, doesn’t it? In fact, I could add many more things that I have but did not provide for myself. The list of all that I have been given is extensive. What about you? I believe that most who will read this are like me, in that excess is part of our lives. Excess in itself is not a bad thing.But we are in danger of forgetting the Lord when our dependency shifts from the Giver to what has been given. What do you do with your excess? What do I do with mine? Do we even see the excess that we possess or are we so living from a place of lack that we cannot see the abundance of what we’ve been given? He offered that when we live from a place of lack, when we desire excess so we can relax and live more comfortably, we completely bypass asking God for our daily bread and we ask for (demand, perhaps?) the entire bakery. Here’s the thing about the bakery, though–it looks great and offers a sense of security, but it’s too much for one day. None of us need that much bread for today. There is so much excess in the bakery. What are we doing with what we’ve been given? Do we even recognize that we have been given the bakery? There are so many thoughts swirling in my mind around this concept. If God wants us to live dependent on Him for our daily bread, why has He given so many of us a whole bakery? What do we do with all the extra at the end of each day? Do we wrap it up safely and put it in the freezer to store it for another day? Just in case tomorrow’s manna doesn’t come? What are we doing with all of our excess? Are we trying to hoard it, save it, fearful of a day when we might find ourselves without enough? Are we eating our fill and carelessly discarding the rest? Or are we eating today’s bread with open hands and grateful hearts, living present in each moment, taking only what we need and giving the rest away? John said, “Living in the moment today displaces the fears of tomorrow”, and that, “Daily dependence reminds us of God’s faithfulness”. He reminded us that today is all we have. Today is all we need. And today is all we can handle. He also said that what we do with our today impacts our tomorrow. Some years ago, my husband’s former college roommate came to visit us. We were hanging out in the kitchen, delicious food bubbling away on the stove–my high school age kids were in the kitchen with us and we were laughing and enjoying one another’s company. John Boy, as we affectionately call him, asked the question “Does the present really exist? Think about it…as seconds tick by it’s past, future, past, future, past, future…Is there really such a thing as the present?” Even though he was being silly, I pondered that question for years. I still ponder it from time to time. Jesus refers to himself, his state of being in the present tense. Isaiah 26:3 gives us a glimpse of what this looks like: “You keep him in perfect peace whose mind is stayed on you, because he trusts in you.” (ESV) The verbs are in the present tense. As I write this, I am in my daughter’s house in Alabama with my precious 9 month old granddaughter. We live far away from her, so every moment we have together is precious. In the past, I have robbed myself of the gift of the present by living in countdown mode—”I only have this many days left, this many hours left”— I am through with that!!!! It robs me of the joy of this moment. So yesterday when she took a nap and held my hand for 30 minutes, I did not think about what I had to do next. I relished the moment. When I fed her and rocked her to sleep, I did not think about what I had to do next. The moment I was in was precious, so I chose to step out of time and allowed that moment to be all I focused on. After listening to John’s sermon and being in a place to observe the actions, the total dependence of this little one, I am keenly aware that she has no thought of ticking seconds. When she senses a need, she communicates that she has a need. When she plays, she constantly looks back to make sure that she is being watched– that she hasn’t been left alone, and (my favorite) she frequently crawls to me (or her mommy or daddy), climbs over our legs, connects with us by touch and then heads off again. She imitates our actions, our sounds as she learns to become like us, she responds to us as we respond to her, and in the really precious moments, this busy busy little girl rests in our arms and lets us hold her close. My desire is to remember this–to live like this in my relationship with Christ–connecting with him, taking my needs to Him, trusting Him to be present, not worried about yesterday or tomorrow, but knowing that He is more than sufficient in the now. I want to live in the “I Am” of Him-trusting Him for today’s bread, knowing that His presence In The Now is more than sufficient for all the moments of life. The answer to this question that John put before us on Sunday is our sin. 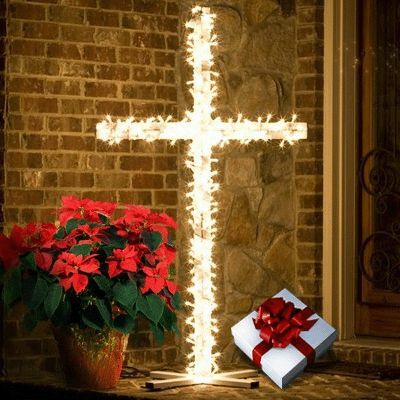 I don’t know about you, but when I think about giving God a gift–especially at Christmastime, when every gift is beautifully wrapped and tied with shiny ribbon–I don’t envision the box containing the ugliest thing I have. I think of things like time, gratitude, worship, love… Those are all things I want to give to my God. But He already has those things. He created all of them. All of time-past, present and future-He holds in His hands. He has eternity at His disposal. And thanks and praise? He doesn’t need that from me either. I know He desires our praise, and loves a grateful heart but, if I don’t praise Him, the rocks will cry out. His created objects will praise Him if we don’t. He is the author of worship, too. And love? Well, God is love in its fullest form. We only love because He first loved us. He created love, He is love… so He doesn’t need that either. But there is that one thing God didn’t create. That’s our sin. And while He doesn’t need it, I absolutely agree that He wants it. Why in the world would God want our nasty, ugly sin? Our hidden addictions? Our monumental failures? But sometimes we hang on, don’t we? We white-knuckle that sin and refuse to let. it. go. Guilt. Shame. Fear. Unbelief that all of our sin really has been forgiven. It can be one of these things or a variety of others. We all have our reasons why we “can’t” let it go. But when we refuse to give God our sin, we are hurting ourselves and erecting a barrier between our hearts and the heart of the One who desires that we live abundant, fruitful lives in relationship with Him. These words shook my world up a bit. More than a bit. If our sin was swallowed up in the grave when Jesus was raised from the dead, then hanging onto it is like trying to excavate 2,000 years of dirt and rock on our own, dig through the dust of sin that is long gone and attempt to find our particles and piece them back together. It’s not just a daunting task, it’s impossible. Our sins died with Jesus and stayed buried deep in the earth when he rose again. If we’re in Him, our sins are gone. But if we don’t hand over our guilty consciences and believe that that’s true, we’re building a wall between us and God. A wall that can’t be penetrated by any of the other gifts that we could bring Him. We can’t worship our way through our sin wall. No amount of thanks or praise will break it down. Our attempts at loving God won’t destroy it. The only way to break our sin wall is to let the blood of Jesus be the gift wrapping that covers it. That’s the only way to give our sin to God anyway-wrapped in the blood of His Son who already paid for the gift with the only acceptable form of payment. His life. And when we boldly believe that our sin has been wrapped in the blood of Jesus, given to God and permanently removed from us, we receive a gift in return. The gift we want as much as God wants it for us, even if we don’t realize we do-a free, unhindered, everlasting relationship with our Creator. Have you given God your sin? Your guilt? Your shame? Have I? What keeps us hanging on to what’s been buried in the grave? I hope and pray that, as this year comes to a close and a new one begins, we can all give God those things that keep us from Him. Like Laura, when I think about the answer to John’s question from Sunday–that God wants my sin, it causes me to want to push back. I, too, want to give Him my gratitude, my worship, my love, my life, and I believe that He is pleased with those offerings; however, if I don’t start at the cross, bringing my sin and allowing it to be wrapped up in the blood of Christ and offered to God, then the barrier between God and me because of my sin keeps me from being able to bring all of the other things that I want to bring. If I think about it even further, my gratitude, my worship, my love, my life are all responses to the fact that I can take my sin to Him, that He doesn’t turn me away, but he receives the “gift” of my sin, and makes me clean and whole in His sight. 2 Corinthians 5:21 tells us that “God made him (Jesus) who had no sin to be sin for us, so that in him we might become the righteousness of God.” Think about that for a moment. What kind of beautiful craziness is this? Jesus takes my sin, he receives my gift, and I get to be made right, no longer guilty in the eyes of God. Romans 8:1 tells us that “there is no condemnation for those who are in Christ Jesus.” God doesn’t require penance for our sin, He doesn’t disqualify us from His kingdom or His service because of our sin, instead He embraces our sin, lays it upon Jesus and stamps it “paid in full”. In other words, it is taken care of and we don’t have to live with guilt. What kind of love is this??!! My part is to bring it to Him, to confess my sin, and to trust that what His word says about me is true. “If we confess our sins, he is faithful and just and will forgive us our sins and purify us from all unrighteousness.” (1st John 1:9). There it is again, we confess, we bring it to Him, and He purifies us. The original word “confess” in the Greek is omologomen, which actually means “to speak the same, to agree”, and it is important to note that the original verb form of the word “confess” is a continuing action. I love that definition. It means that I can bring my sin to God, acknowledging it and agreeing with Him that my actions, my thoughts, my words, whatever it was, were not in line with what He desires. It is not an action of self-loathing or of self-shaming, but of agreement that brings me back into fellowship with the God I love and who loves me more than I will ever be able to comprehend, AND it is ongoing. Daily confession is a great practice. Sitting in the presence of God, asking His Holy Spirit to search our hearts and show us areas that we need to confess keeps us in close fellowship with God. I don’t know about you, but I have a running dialogue with God that goes on all day long-and there are many moments of confession that happen during the course of the day. I could go on and on about this, because when we “get it” freedom in Christ becomes a reality, and life is never the same. Bringing the gift of my sin to God is actually the most beautiful gift I could give to Him. He paid a high price for that gift. Why? Because He loves us. That’s it. Let that sink in deep. You are loved. You can approach God with the “gift” of your sin, without fear of condemnation, because it has already been paid for in full. It is no longer yours to carry. Give it to Him, and receive fellowship with God in return. As I ponder Sunday’s sermon, and I ponder what it means to kneel before God in adoration, in pursuit, in submission, and in confession, I am struck by the open and outward expression of each person or group of people that John highlighted on Sunday. The wisemen bowed down and worshiped him. (Mt. 2:11) The humility of that action–grown men bowing to a toddler–it must have looked strange, but they knew that He was God-sent. They knew that He was special. They knew that He was worthy of reverence, of honor, and they used their physical bodies to demonstrate their heart attitude. Do I? Do we? The rich young ruler chased after Jesus in pursuit of the answer to his questions. John pointed out that he knew how to walk in a religious way, but not in a relationship way. The young man knew enough to know that Jesus had the answers that he was seeking. And he, like the wise men, knew that Jesus was special, different, so he knelt before him in reverence. Even though the young man chose not to sell his possessions and follow Jesus, he received the answers to his questions. (Luke 18:18-23) The answer wasn’t what he wanted, so he chose religion over relationship, and comfort over sacrifice. Do I? Do we? Do we continue to take our questions to Jesus? Have I transitioned from pursuing answers to pursuing Jesus no matter what the answer is? Have you? Jesus is the perfect model of submission. His submission was not without wrestling; however in his wrestling, he moved toward God and not away from Him. I love that Jesus is completely honest and totally transparent. He expresses his desired outcome, and then surrenders it all to the will of the Father. To truly follow Christ means to live a life of submission. I think honest wrestling is often involved. The bottom line is, am I secure enough in His love to trust Him? And from that place of love and trust, am I going to choose His will over my own? It’s not always easy. I had a situation last weekend where God brought a need to my attention. I had the means to meet that need, but meeting that need meant giving away an item that I had some emotional attachment to. I knew that the right thing was to give, and I did give; however, I wrestled, and even cried over letting go of an inanimate object that no one in my house is using or will use. I heard Levi Lusko on K-Love later that same day talking about how being obedient to God often goes against our feelings. Learning to trust God and obey Him over what we feel is true submission. Sometimes that’s hard for me. Is it for you? And then dear Peter, kneeling in confession. (Luke 5). Peter was doing his daily thing. His normal activity. Jesus showed up in the middle of a normal day and all of a sudden the normal day was a sacred, life-changing day. Peter let Jesus use his boat. Peter was willing to cast his fishing net again, despite not catching anything all night, and when the miraculous catch happened, Peter was able to see that Jesus was no ordinary man. Just like the wise men, he was compelled to fall to his knees. He recognized his own sinfulness in the presence of Jesus, and asked Jesus to leave him. He knew that he did not deserve to be in the presence of God. Yet here it is, the beauty of our God–He would not leave. Instead, he issued an invitation. Our sin is a reason to kneel before Jesus–not pull away. Our honest confession draws us closer to Him. Jesus shows us that our worth is far greater than what the voice of shame whispers to us. He assures us that He’s not going to abandon us, and He issues an invitation that leads to life. Real life. Am I willing to kneel and confess? Are you? I wholeheartedly agree with Luanne’s assertion above. Becoming a follower of Christ-beyond simply believing-is all about surrendering our will, this daily dying to self that Jesus spoke about and modeled so perfectly. Luke 9:23 (NLT): Then he [Jesus] said to the crowd, “If any of you wants to be my follower, you must give up your own way, take up your cross daily, and follow me”. So how, then, do we turn away from the little “g” gods of self, of stuff, of all that distracts? Let’s revisit John’s points about kneeling, but this time, let’s go backwards. We know we are sinful, that our sinful hearts don’t want to bow to our God-so we kneel in confession, like Peter did when Jesus’ holiness magnified his own sinfulness. Once we kneel in confession and we find that the love and forgiveness of God meets us there, we will find the choice to kneel in submission much easier-because we’ve experienced the love of the One we are submitting to. And when we confess and submit and we begin to see just how great our God is, we will long to kneel in pursuit of Him, to ask the hard questions and seek to follow Him as He takes us deeper. And once we have experienced God in these ways, kneeling in adoration comes naturally. Because we’ve been wooed to our knees, not forced there. To submit, to bow, to kneel-it is always a choice. But not a choice of if we will do things things, because we will. The question is, to what will we submit, bow down to, kneel before? I want my answer to always be Jesus, the One true King. But sometimes it isn’t. Sometimes it’s family, lists, expectations, control. Often it’s plain and simply: me. What about you? What do you find yourself bowing down to? What makes it so hard to choose to bow before God in your life? I hope we will all engage in the “honest wrestling” Luanne described earlier, and find ourselves as true followers of Jesus as a result.